Friends of the Earth and community renewables advocate Embark have welcomed the surprise announcement of a Victorian Parliament inquiry into community-owned renewable energy. “The Victorian Parliament’s inquiry into community energy is very welcome and will allow all political parties to understand the benefits community-owned renewable energy,” said Leigh Ewbank, Friends of the Earth’s renewable energy spokesperson. News of the Parliament’s community energy inquiry comes just a fortnight after the Andrews government announced ambitious and achievable state Renewable Energy Targets. “We need an ‘all hands on deck’ approach to meet Victorian Renewable Energy Targets, and a strong community energy policy will make sure everyone can participate in the transition to renewables,” added Leigh Ewbank. Victoria is the home of community energy in Australia. The successful Hepburn Wind farm which started generating power in 2011, was the country’s first community-owned project. Friends of the Earth and Embark say Victoria has fallen behind in recent times. “Victoria was an early leader in community energy but other states are racing ahead with dozens of proposals. This inquiry can identify the policies we need to be a leader again,” said Leigh Ewbank. 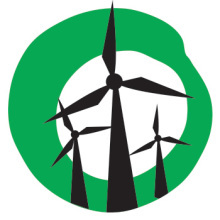 Community energy advocate Embark also welcomes the inquiry. The organisation says it can usher in a new era of growth in the community energy sector. “We need the Premier Andrews and opposition leader Matthew Guy to proactively address the barriers facing the community energy sector. We look forward to participating in the process,” said Embark spokesperson Taryn Lane. Get involved in Y2R’s campaign to Build Community Power + Grow Community Energy. Become an active friend of Yes 2 Renewables and keep us on the campaign trail. Previous Previous post: David Southwick: Shadow minister FOR renewables?